2018 was started by the preparation of the prototype for the German Computer Games Award. The decision about an application in the category junior award/ prototype was already made at the end of 2017. That’s why we put most of our energy into the development of such a prototype. New features were deferred and instead the performance, as well as the handling and the user interaction, was improved. Furthermore, bugs were eliminated and the necessary adjustments were made which entailed the switch to the Unreal Engine Version 4.18. We've tested this prototype on many of our people and got great feedback. This led to a big update of the gameplay demo in March. The update included numerous improvements of the map, as well as stackable effects, improved cover system and a change of the behavior of movement. For a better visualization of the “Rock–paper–scissors” of attacks, we decided to include attack indicators. In addition to that, the units got voice output. For more information, check out our blog. From this time on, we also decided to expand our team, at the beginning of the year we were only three. For the first time, we had a 3D Artist in our team, who took care of the animation. Additionally, we made our first experience with the Motion Capture Studio and recorded some animations. More people joined the team for programming and 2D concept art in February/March. Due to the increase of the team with the first 2D Artist, the creative design process got set in motion and finally started in the second quarter. At the same time, the topic of formation of an enterprise was tackled. Our goal was the establishment of an independent studio in the German gaming industry. That’s why we did the first meetings and researches of the topic funding and formation of an enterprise in Germany. As many may know we are mostly interested in possibilities in Rheinland-Pfalz because of us being students and graduates from the college Trier. However, it was clear in our minds from the beginning that we are able to choose the place of location freely and thus can decide on the most interesting offer in Germany. Multiple statements of the government and initiatives, as well as options that are able for the future, let us hope, that we are able to stay in Trier with its amazingly skilled students and the resources in the gaming department of the college that we are able to use for ourselves. After this eventful start, the year of 2018 seemed to continue that way. At the top of our agenda, we wanted to release the gameplay demo on different portals and on our website. In addition to that, there were topics like increase team size and the visit to the German Dev Days in Frankfurt as well as the upgrading of our social media appearance. The release of the gameplay demo in May brought a lot of change again. This was our first step into transparent development. We wanted you to be a part of our journey from the beginning and be able to see what it means to develop a game. Also, we wanted to improve Eternal Escape constantly through your feedback so it can become a new and awesome experience. Because we develop a game for multiple platforms, the option of using a gamepad was added for the release of the gameplay demo. These controls should be optimized through the feedback of the players, so we can also offer an optimal player experience on consoles. If you want to have more demo information, then you will be able to read our blog post in May 2018. In April and May, the team added more 2D Artists as well as “Bibo”, who takes care of the community and social media areas. As already mentioned, we purposely decided on a public game development because in our opinion it fits the Zeitgeist and yielded many great Indie games in the last years. The time is past where developers sat in their dark basements for three years just to realize in the end that the game is not getting well received by the gaming community. This topic belongs in public and events like Game-Jams or developer streams as well as numerous mods and community tools show that the community wants to be involved in the development. Therefore, we increased our team continuously with people that will take care of social media and the community tasks, so the game will live up to the expectations even in its Pre-Alpha status. Furthermore, because of the increase in 2D-Artists we were able to compile an efficient team which will take care of the creative design of Eternal Escape. In the summer that was mainly the layout of print media like business cards and flyers as well as the creation of a logo or cover for exhibitions. Not only for the German Dev Days but also we got the confirmation in June about the opportunity to exhibit at the Gamescom. Because as programmers, we didn't little or nothing in the game creative design up to now, our artists had to react quickly to touch upon everything and devise the necessary. Our public appearance also got several updates in the second quarter. Thus, at the beginning of the demo, there were new screenshots. We reworked our social media accounts and website. Internally, we now use Discord as chat or voice chat tool and because we already had the public use via our community in mind, that seemed rather appropriate. With the supervision of new pages like Itch.io, IndieDB, and GameJolt, new tasks came along. 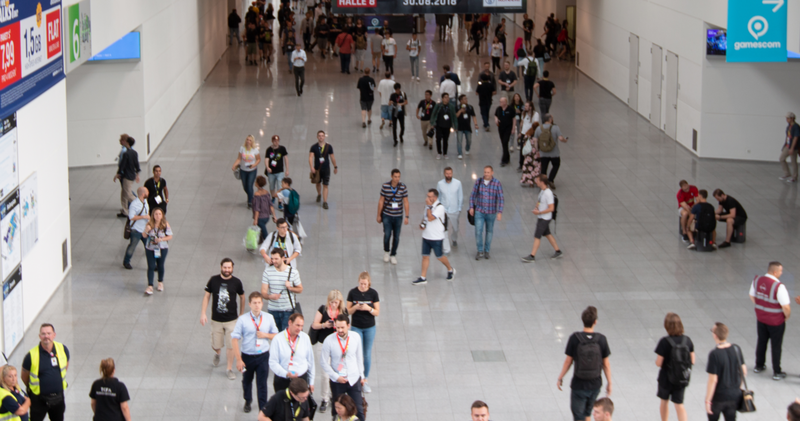 During the summertime, the Gamescom happened. In July we published the update v0.2.7 of the gameplay demo. Because our lengthy demo wasn’t appropriate for the convention at this time, we had to develop an exclusive level which was only 25 minutes long. The preparation for the convention included not only the update of the demo but an overall appearance of the team and the project Eternal Escape. For that, our artists and designer had a lot to improvise and in a minimum of time, many things got finished. Starting with concept art for posters to layout for business cards and T-shirts, everything got taken care of. In the end, we also had a name for our developer team. In the middle of the night, Team Goji was born which went to the Gamescom 2018 with their first project Eternal Escape. What experiences we had there and more info, you can find in our July/August blog post. After the Gamescom, we had to process all the impressions and take care of the new contacts we made, so it took two weeks till everything continued. During this time, some internal structures got reworked. After that, we started working on update 0.2.8, which should also include the exclusive convention level. For the first time, we also published patch logs on Trello in September for everyone who is interested in finding out what is already changing in the Pre-Alpha status. Even the smallest change of the gameplay demo can be found here. In addition to that there is now a game launcher, which will keep the game up-to-date at all times as well as showing news for the game. We will improve the launcher in the future just like the demo and give it more functionality. At the end of the year, the new gameplay demo was released in November. We also got to welcome a new 3D Artist in our team and finally someone that will take care of the worldbuilding as well as the story of the game. The demo version 0.2.8 includes some new bugfixes. A lot of issues with interaction, crouching, AI, UI, gamepad and the overall gaming flow got fixed. The feedback we got from the Gamescom is also included and since the end of the year, we are working on more features we got from the impressions there. As an example, we want to integrate the Trial & Execute system even more in the game mechanic. There might be different possibilities with more or less severe impact and we are discussing these different enhancements in our team at the moment. As soon as there are any news about it, we will report to you and are already excited about your feedback. Since October 2018, our 2D Artists are working on style studies, thus we are getting closer and closer to the final style the game will have. First drafts and a description of the chosen style will be found in our next blog post. To accompany this workflow, sometimes our 3D Artists implement those drafts into the prototype. We also individualize the characters of the gameplay demo with new assets. For example, the Assault will finally get a close combat weapon and a new armor! We also strengthened our team with a story writer. With this, the work for the first episode of Eternal Escape also begins story wise. But before that, a lot of thoughts and ideas about the universe of Eternal Escape were discussed. The fundamentals for that were already built in the early stages of development. As everyone might already know, it is set in a sci-fi universe with a bit of cyberpunk. 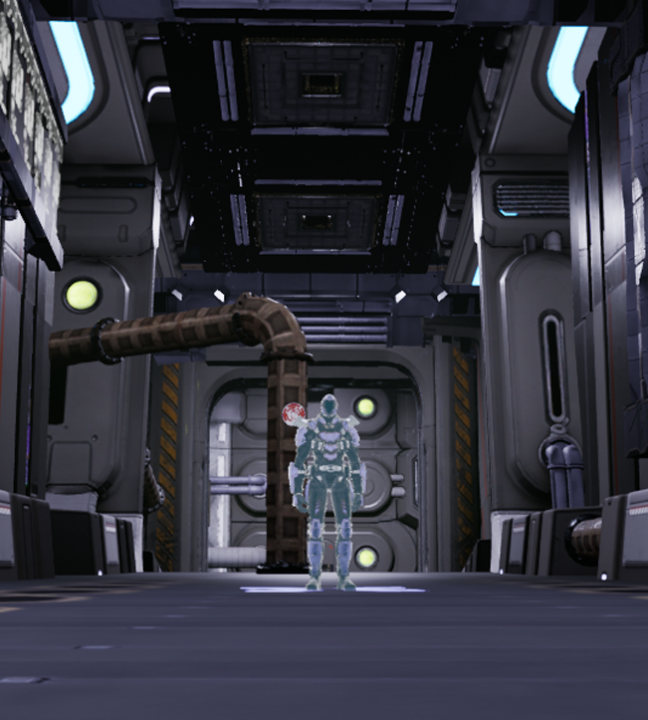 The game begins with the protagonist waking up in a prison of a space station. After a power shutdown, the cells open and the player has to flee with the protagonist. We are not going to reveal too much about the story because we want to reveal it to you during the game. Nonetheless, you will see snippets of it in the blog posts, so keep your eyes open. Surely, there will also be an extra blog about this topic but it will only have background information and explain the world/universe of Eternal Escape. That was the year 2018 in the review. Thank you for being part of our journey. For more information or get our demo, please visit our website. For always being up to date, follow us on Twitter, Facebook or Reddit. If you want to talk with us about the game or just want to be part of our community then join us on our Discord Server!